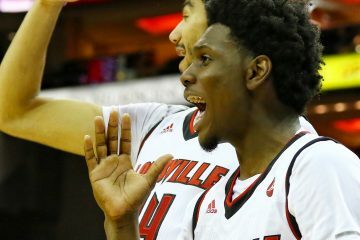 Yesterday, I urged Louisville fans to enjoy this week and live in the moment. While this may not be the biggest game in Louisville history, it has all the signs of being one of the best atmosphere’s this town has ever seen. I don’t know much, but I know Louisville fans are good at talking about a few things. Horse racing is one, of course talking basketball is another. The third one is our knowledge of bourbon, grandpa’s old cough medicine. Forget those dumb icebreakers that you had to stomach during those team building exercises at work. Walk up to a stranger in Kentucky and ask what their favorite bourbon is. You now have a friend for life. This isn’t a noon game against Florida State or a Monday night game against Miami. This is Saturday night in the oven baby. We don’t experience these types of games often so they must be handled the right way. Treat this like your wedding night, you don’t want to score too early and leave time on the clock do ya? I want you to thrive this week ladies and gentlemen! You can’t do that if you are covered in your own vomit and passed out in a drainage ditch outside of the stadium. You can’t thrive if you’re a 47 year old father of three challenging an 18 year old college freshman to a fist fight? You definitely can’t thrive if you show up to a tailgate asking what dish is gluten free and begging the DJ to play your Christian Rock mix tape. With the help of some of the guys from the Crunch Zone and a few other Twitter peeps I have put together a manual on how to handle this week and most importantly Saturday as a whole. Print if needed, email to your buddy, take a screenshot for keepsake, and share with friends. Rule One: Understand that it’s a Blackout game and not an “every other color” game. Someone will do it, they always do. 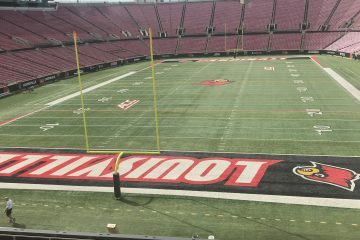 No matter how much the Blackout theme is advertised, a Louisville fan will show up to the game not dressed in black. Someone will show up wearing a green polo and a pair of Air Monarchs to boot. And then they will try to give you some lame excuse about how they don’t own a black shirt or say “I came from a play and I didn’t have time to change”. Stare at them with utter disgust and turn your back. Rule Two: College GameDay being on campus does not give you a pass to relive your college days. I understand that you were the life of the party while on campus back in 2004 but this is an entirely different platform now. Gone are the days of your keg stands, beer pong championships, and Pizza Magia consumption. They have been replaced with a wife, 2 kids, a aggressive case of gout, and a hairline that starts behind your earlobes. It’s over dude, accept it. Take your kids to Gameday, enjoy it, then go tailgate wearing dad sandals and jean shorts. Don’t ask your wife to take the kids home so you can go post up on the SAC ramp telling students about your credit score. Don’t go to Bettie Johnson hall and try to convince some co-ed to let you into your old dorm room you can show your boys where the “magic happened”. Don’t go to Gray’s bookstore and argue with the staff about buying a book back that you never even opened as an undergrad. Don’t go to Unitas Tower with a guitar and start doing covers of Ed Sheeran songs. Be an adult. Rule Three: Let your significant other know what type of tailgater your are in advance. Some of you will be tailgating as a couple for the first time. Others will be experiencing all of the events on Saturday with a potential future bae. 87% of Louisville dating started during or prior to a tailgate. 94% of Louisville divorces occurred after a tailgate (all stats provided by Kelly Dickey). 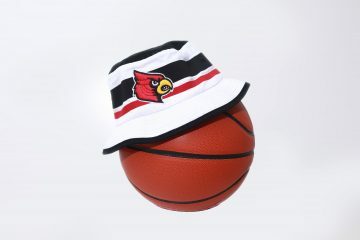 It is best to let he or she know that you tend to get a little crazy when it comes to Louisville game. You can’t attend the game with the youth minister from Highview Baptist church and then pull out a flask from your bra and ask him if he wants a pull. Fellas, you can’t take out Sarah from Accounting and end up shotgunning three beers at her parents tailgate while her dad is asking what your intentions are. That sort of thing shout not be sprung on people. Rule Four: Bring the noise. Bring ALL of the noise. I made the trip to Clemson last year. My ears still tremble at the thought of what happened in that stadium for for 3 1/2 hours. Folks, when our defense is on the field, go crazy. When our offense is on the field, be as quiet as you are when kids come to your door selling candy for a fundraiser. Too harsh? Ok, be as quiet as you were on Halloween when you hid out in your basement to avoid passing out candy. Bring all the noise when Clemson has the ball. Crying kids in need of a nap? Yep, bring em. Cymbals, whistles, and bells? Yep bring em. Your girlfriend’s annoying roommate who always talks through the entire movie? Yep, bring her. Nokia flip phones with old school ringtones? Bring it. The messed up microphones at all Indi’s restaurants? Bring it!!! Your neighbor’s old El Camino that has a hole in the muffler. Park it on the field and rev it. Just do this when Clemson has the ball. We are in the midst of contacting Doo Wop Shop and Mel Owen and convincing them to loan out all of their amps. Similar to what Clemson did last year where they had EVERY SPEAKER IN THE STATE OF SOUTH CAROLINA plugged in for the game. Play through the cadence Cardinal Marching band, spin a record through it DJ Kay Dogg. Clemson proved last year it’s not illegal if it’s a home game. Rule Five: Hydrate. Install the Uber/Lyft app. Hydrate. Drink responsibly. You can either make this game, or you can not make this game. Had a friend last year that got trashed before the FSU game and only remembered Corso putting on the mascot head. It’s okay to drink, it’s not okay to get blackout drunk and ruin the experience for everyone else. Now your friends can’t go to the game because they to stay behind and make sure you have water and crackers every hour. Don’t be selfish. Also, there is no excuse for drunk driving in this day in age. Uber and Lyft are always options, set it up and make it home without killing yourself or others. Water is your friend. Rule Six: Don’t engage with Clemson Twitter. Clemson Twitter is like Jacob and Darlene Snell on the Netflix series “Ozark”. They seem nice at all times, they love their town and are a major influence in it. But underneath that, there is some gangsta sh** going on. You don’t need to be engaging in a argument with a guy who has a championship belt and still makes Twitter videos about how lame Louisville fans and media are. You also don’t need to engage in a Twitter beef with the pastor of New Trinity Baptist Church. Let us remember how Clemson fans acted after their win last year in Death Valley. Let us also remember how Clemson fans AND coaches reacted after the Heisman ceremony last year. Clemson fans and UK fans are EXACTLY alike. They both brag about the past and are overly obsessed with Louisville. I have never seen a fanbase win a game and complain about the attention a team they BEAT gets. Clemson Twitter is the girlfriend that dumped you, married a billionaire, and yet they still stalk you on Facebook to advise everyone they dumped you. I would take a National Championship over a Heisman QB any day, Clemson fans apparently want it all. You want it one way, but it’s the other way. Hey, your defense chokes people and likes to fondle opposing players and DeShaun Watson just threw another interception. Happy now? Rule Seven: The beer you bring to a tailgate defines you. This is key. You want to make a good impression and not be ridiculed by your buddies on Saturday. With liquor, you can never go wrong with some Woodford or Maker’s Mark. With beer, you can be the hero or the gump depending on what you dump in the cooler. If you are not sure, ask around, everyone in this city is a alcohol connoisseur. You can’t show up with a 24 pack of Natty Ice and expect to be taken seriously. Rule Eight: Learn how to drop a pin! Don’t be that person giving tailgate directions to your friends and telling them “I’m in the Green Lot”. That is not only vague but it helps no one and causes a ton of trust issues. You are the “check engine” guy now. Drop a pin, know your surroundings, have some decency. “Hey John, yeah I am in the Green lot close to the train tracks. There is an RV next to me with Yoda on the top of it (true story) and someone just let off a flare. Screw it, I am dropping a pin”. Card fans are not jerks, well, the majority of them aren’t. We are very hospitable and welcome opposing fans not wearing blue to partake in our tailgates. Be sure to share your tailgate food and drinks with any passing Clemson fan……just not the good stuff. Don’t give Doritos, give Kroger brand Nacho chips. Don’t give Pepsi, give Big K Cola. Don’t give them your burgers that you seasoned yourself, give them the freezer burnt JTM’s that you are just happy to get rid of. Show love, it’s the Louisville way. I kid, Clemson fans were very nice last year until the game started and then again after. We have enough idiots 70 miles east of here, don’t be that guy being an a**hole on Saturday just because you are trying to look cool. Now if they start some drama, by all means defend this house! This is one of the biggest Saturday night games in Louisville history and it has the chance to be a classic. It’s not a rivalry if a team never wins but you would never be able to tell by how fans on both sides have acted the past few years. Be in your seats by 7:15 pm, there are rumors going around that fans who are in their seats early will be in for a treat. Take all of this in, Lamar won’t be here forever and Clemson may not repeat as champions. You wanted big time football right? Well it is here, embrace it and make the most of it. Treat Saturday like an audition because that is what it is. This is a national stage and the world will be watching. There will be 44 recruits in attendance. Stop with the excuses, be there if you have a ticket. Hell, be there if you don’t have a ticket. Just soak up the atmosphere because it does not happen to us that often. Your voice should be gone and your ears should be ringing when you wake up on Sunday. Don’t yell at the person standing up on 3rd down, yell at yourself for not standing up. Don’t just go to the game to socialize on the party deck and take selfies. Support your city and your school, you will wish this atmosphere was around when Boston College comes to town. You will wish you had this chance when Louisville plays Murray State in few weeks. Don’t let an ESPN analyst steal your joy. Remind yourself, you are arguing with a grown man who calls himself “Booger”. You are sending threats to Marty Smith who still has not figured out how to leave Clemson’s campus. Utilize the mute feature on Twitter, you don’t have to entertain garbage on your feed. If you do, it’s because you want to, plain and simple. My inbox is full of people looking for tickets. I started getting calls and texts back in the summer. There are thousands of people who would do anything to be where you will be on Saturday. Make the most of it folks. Follow these guidelines, and you will be fine. BucketHatology: Beantown beatdown’s and Wreckin’ Tech. Random thoughts on Game Week.